Oracle Cloud applications empower your organization to mature execution, operate more efficiently, and be more adaptable to business change while saving money for core business investments. Transitioning to Oracle Cloud is not a one size fits all journey. You may migrate to the Cloud in an incremental fashion to minimize disruption to your business operations. Or you can adopt a complete Oracle Cloud solution to replace multiple existing point solutions. As a business outcome focused technology partner, our team of seasoned practitioners will help you decide which architecture alternatives fit your business goals, organization, and technology environment. For Professional Services Organizations, Project Partners offers an accelerated path to the Cloud, built on industry leading best practices that enable your business to respond quickly to an ever-changing marketplace. Learn more. 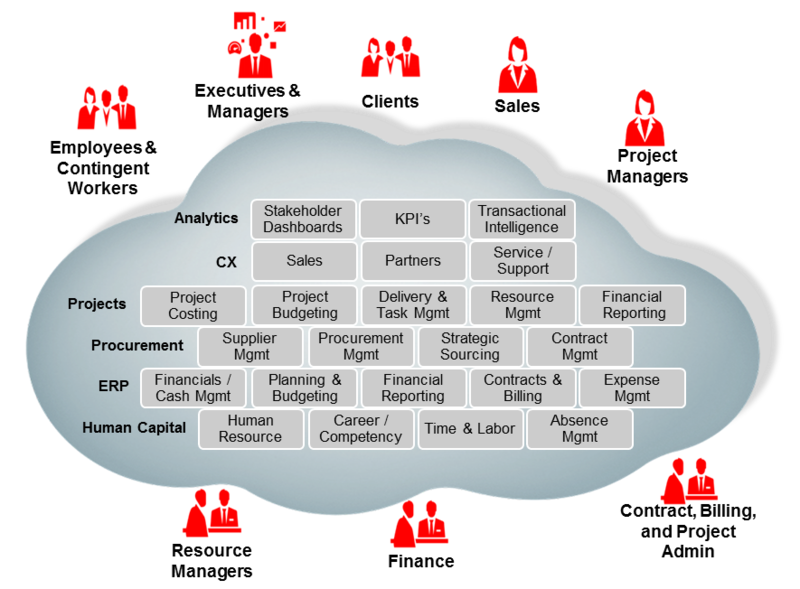 What Can Oracle® Project Portfolio Management Cloud Do For You? Oracle Project Portfolio Management Cloud is a complete, comprehensive, and integrated suite of applications built on open standards using a service-oriented architecture and a common platform. Oracle Project Portfolio Management Cloud provides modern project execution tools and methods that you can adopt as part of an Oracle cloud suite or deploy with existing solutions. Oracle Project Portfolio Management Cloud dramatically improves the way project-driven organizations and project professionals work. It provides access to information and collaboration between team members to enable efficient and effective project management while ensuring smarter business decisions. Project-driven organizations benefit from its ground-up design with the user experience in mind; helping customers keep pace, keep score, and deliver extraordinary business and project insight. This complete and integrated solution dramatically improves the way project-driven organizations work, enabling efficient and effective project management while ensuring smarter business decisions based on a single source of project truth. Project professionals benefit from its ground-up design to keep pace, keep score, and deliver extraordinary business and project insight. Mobile and embedded social capabilities ensure consistent communication in a secure, collaborative, teambased environment, for project delivery success. Learn more.